The first wood-burning oven in VA along with the first authentic prosciutto slicer. Menu items are made with the freshest ingredients and always delicious. Veal, seafood, chicken, pasta, vegetarian, steaks, chops and pizza creations. 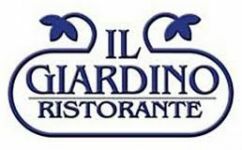 As with so many of our family and friends, we hope Il Giardino will be an Italian dining experience you will delight in making over and over again!